I have been wrapping presents normally for years and it just never felt right. Last Christmas was the first year I began to add a little of myself into the wrapping of gifts to my family and friends. It adds an extra dimension to the gift over all, no matter what it is (even socks or underwear lol). It is easy for anyone to do. Here are a few things that I have done with some things I had around the house. Sometimes a simple little cover over the label is needed. Others you may need to get out some paint. Matt paint works best, and if you have any trouble with it staying on cover it with a light coat of clear matt spray paint to make it stay. Covering a label or even just jazzing up a pain box. No matter what pattern washi tape you use it will look amazing. If you want to go an extra step use punches (or even a hole punch) to add “stickers” to one box and the remnants on another. Personally I am still looking for a tea punch for throughout the year. When I got into project life I ended up with so many cards and not knowing what to do. Using them as a tag gave them some new life. But if you don’t have any simply use the front of an old card. Cut it off from the message potion and reuse it. 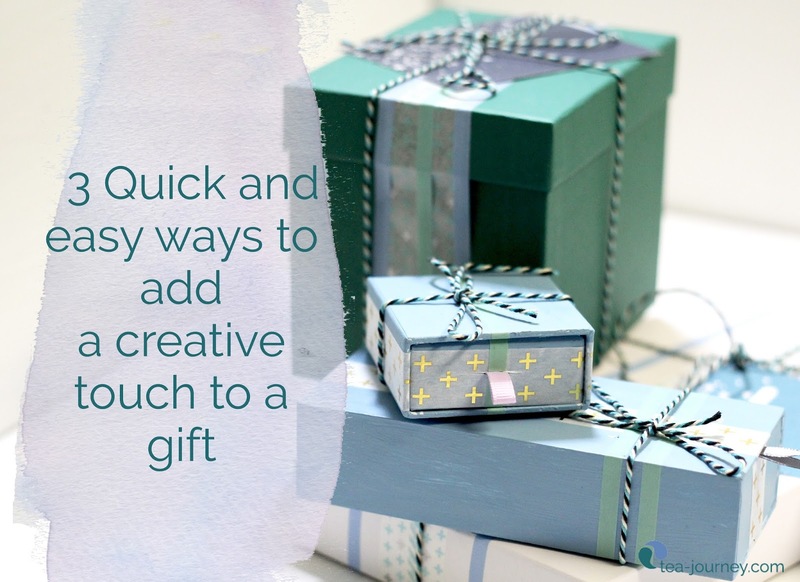 These ideas can be used throughout the year, not just for the holidays. Your giftee will love your gift even more because you created the packaging for it. It’s like giving love as a bonus little side gift with every one you create. Best part of all, you can still do it this close to Christmas. Happy holidays everyone.